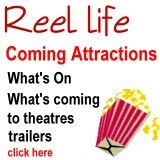 The Martian; Once Upon a Time; Censored Voices; Félix and Meira; National Theatre Live: Hamlet; Absolutely Anything; 007 Spectre; Sleeping With Other People; The Intern; Bridge of Spies; Now Add Honey; (see last issue for more) For more trailers, news and reviews, see our Facebook page. Movies all require a villain. Real life is no different, and in Hollywood the villain's name is remake. Good or bad, people judge these movies long before they see a second of the trailer or the movie itself. They hear one of their favorites or even one they've never even heard of is being remade and the groan sounds. That exasperated noise is soon followed by the words "Hollywood is out of ideas". I've heard it too many times to count. The biggest problem is that most remakes are terrible. It's a fact. Remaking a classic is usually a bad sign. If it still stands up all these years later, let it be. Learn from history. Taking a movie people love and reshooting it shot for shot and still failing shows it's not as easy as it looks. That's right Psycho, I'm talking about you. That movie shouldn't even be considered a remake. When you take the original script, the original story boards and make an inferior movie, there is something to be said about the original actors and director making a movie what it is. Another issue is not having the budget to do the movie justice. If you want to remake a movie because the original didn't really have the budget or the effects have improved so much over the years since the original release, you better deliver. The remake of A Nightmare on Elm Street is a great example of how the original practical effects were far superior to the modern ones. Low budget or not, the original by Wes Craven stands tall and proud over that terrible remake and did so long before the unnecessary movie was made. Yet, one of the worst offenders of this has to be Day of the Dead. They wanted to remake it because the original script couldn't be made due to budget and set constraints, yet when making the newer version, there didn't even think to make the original idea, instead made an inferior film that is up there with the quality of anything Asylum might put out. If you haven't seen it, consider yourself lucky. I had to brush my teeth five times in a row after watching it to get the vile taste out of my mouth. After that, you can look at the remakes of foreign films so that the audience doesn't have to read those annoying subtitles. I mean, who goes to the movies to read? Jeez. Are these ever good? This is where you get your first yes. Sure, there are failings in this regard too. The Grudge, The Vanishing, The Uninvited and even The Wicker Man. Many will argue that some of them are good movies, but when compared to the original, they can't hold their own. Even movies that some thought were good, once you watch the original movie you see there was no reason for the remake to begin with. Yes, The Ring, I'm talking to you. Yet, sometimes they get it right. Movies based on a foreign original such as Some Like It Hot, The Birdcage, 12 Monkeys and Let Me In are good and stand up well against the original source material. The leader of the pack in this case though still has to be The Departed. Based on the movie Infernal Affairs, The Departed manages to do what few other foreign movie remakes manage. They make a movie that soars alongside the original by not trying to be it, but creating a world of its own. When remaking foreign films, one of the big issues is culture. When you try to make a movie that uses cultural behaviour and ways of life (i.e. : Oldboy), you have a good chance of not doing very well. Let's just hope they never make a real Battle Royale remake. Yes Hunger Games, I'm sort of looking at you. So, do I hate remakes? For the most part, yes, but there are still plenty I love and think outdo the original movies. I long ago learned to wait and see, judge a movie based on the actual film, not the idea of whether it's an original idea. Some of my all-time favorite movies are remakes in fact. What are they? So glad you asked. 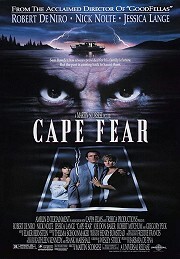 The first one is Cape Fear. This is a great and creepy remake. Robert DeNiro takes over the role that Robert Mitchum owned for so long and is the one who steals the show here. Yet, the director, Martin Scorsese also works his usual magic behind the camera, working angles, giving close ups at the best, most uncomfortable moments and there isn't a moment that doesn't meet the original, if not soars above it. The next few movies are ones that are very good remakes, but I will keep them short so I can get to the good stuff. I'm not a huge fan of Scarface with Al Pacino, but I can admit it has merit as a great remake. Some other great ones are 3:10 to Yuma, Invasion of the Body Snatchers, Ocean's Eleven, Zatoichi the Blind Swordsman, Dirty Rotten Scoundrels, True Grit and Insomnia. All these stand as great examples of what a remake can be if done right. Even the TV series Hannibal is a perfect example to illustrate the proper way to take source material and make it stunning, captivating and worthy to be remade. It's all about vision. Now, as far as the two movies I think are well above and beyond the original so that the source material isn't even worth watching anymore, that's easy. 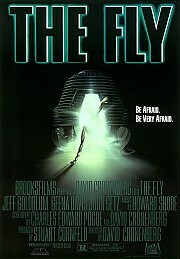 The first is David Cronenburg's The Fly. 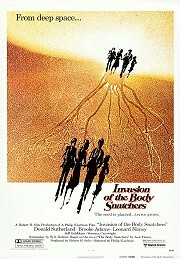 Watching the original with Vincent Price as a kid I was mortified. It was only the end scene that really did that, but it stuck with me. When I watched the remake, a few years after watching Cronenburg's Videodrome, I knew I was in for something nightmarish. I wasn't let down. Whenever anyone starts their hate on about remakes and says there's never been a good one, I could mention any of the following above. I never do though. I have a bullet in the chamber always ready for that statement and it's John Carpenter's The Thing. If you haven't seen it, why not? The original movie, The Thing From Another World, is one of those classic movies from the 50's that I watched as a kid, long before I started on real horror. The movie is based on a story called Who Goes There? and when you watch it and then John Carpenter's version; it's hard to believe that they both came from the same material. It could be that Carpenter also used influences from H.P. Lovecraft, such as At the Mountains of Madness, but whatever it was; he managed to take that original movie and punk rock the hell out of it. 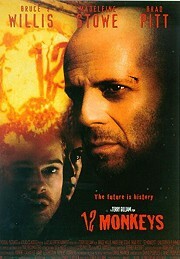 The original's movie's themes of the great communist threat are long gone. 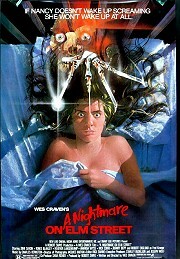 Instead John Carpenter fills the movie with themes of fear, isolation, trust and utter despair. The monsters and effects in here are enough to follow you into your dream world. Don't believe me; try watching it alone with all the lights off and then going to bed. Doing it in the winter is best for full terror results. That's how I first saw it when I was twelve years old. What the movie also shows, thanks to the "prequel" which was recently released, is that updated digital effects aren't always best. The practical effects in this movie, special effects made in 1982 are superior to so much of what we're seeing in horror movies now. So there's my take on remakes and why not all are bad. I know I didn't mention every good and great one ever made, nor did I go through all the bad ones I could have. There are a lot of bad ones too. But don't let that make you misjudge them. There are good ones out there. You just have to find them. Shaun Meeks lives in Toronto, Ontario with his partner, Mina LaFleur, where they own and operate their own corset company L'Atelier de LaFleur. Shaun is a member of the HWA and the author of Shutdown, The Gate at Lake Drive, Down on the Farm, At the Gates of Madness and Brother's Ilk (with James Meeks). He has published more than 50 short stories; the most recent appearing in Midian Unmade: Tales of Clive Barker's Nightbreed, Dark Moon Digest, Shrieks and Shivers from The Horror Zine, Zippered Flesh 2, Of Devils & Deviants and Fresh Fear. His new collection, Dark Reaches, is due out later this year and his new novel, Maymon, is set for release early next year (2016). 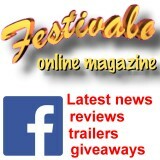 For the latest film reviews, check out our updates pages or browse through our film reviews index. It is remarkable that even during times of economic turbulence, Russian cinema continues to thrive and produce challenging, complex and sophisticated stories. It provides audiences with a surprising diversity of voices and ideas that are present in Russian society today but invisible in mainstream perceptions. In October and November the largest festival of Russian Cinema anywhere in the world outside Russia. Entries close at midnight 8 December, 2015. 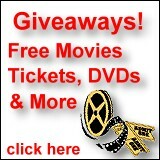 You must have an Australian postal address to win.